As all United Kingdom (UK) nationals registered to vote have an equal say in the upcoming European Union (EU) membership referendum, and because of my long-standing interest in International Affairs, I wanted to lay out my personal views on one of the most significant votes in the recent history of my country. A little over two weeks ago I had the pleasure of spending two days in The Netherlands presenting at a Global Oceans Governance conference in The Hague. It was the latest overseas trip of the many I have been fortunate to participate in through my role as a Research Fellow in Maritime Security within a UK University. This is a job I love; affection that in large part stems from the ability to travel widely across Europe and beyond, engaging with people to build networks in order to tackle maritime security challenges. At this latest conference on oceans governance I was reminded of the way in which complex challenges around the protection of the environment and enhancing human security need multi-layered, multi-actor, co-operative approaches. I am a natural internationalist. I believe in dialogue, co-operating to achieve positive change. No one country is nor can be a political island isolated from all others, whatever backdrop history and geography bequeath it. What the conference also reminded me was that the world stretches well beyond the shores of the UK or indeed the continent of Europe. I am also by nature a conservative. While I regularly have moments where I am gripped with grand plans as to how the very many injustices and insecurities people face can be tackled, and wish nothing more than to throw out of the door elements of existing laws and institutions and start afresh; I deliberately temper my enthusiasm. Not for want of bringing about positive change, but because I am wary of the often perfectly manicured lines of the grand plan and the occasional hubris of those selling them. I do believe in the conservative idea of the importance of seeing the world as it is, but I do not believe this should be an excuse not to – when witnessing deficiencies – act with the best of intentions, to make right those deficiencies. I also believe that change is difficult, it is often better to make it incrementally, and that we can never fully predict nor control its consequences. Yet again, I cannot and do not take that principle to one logical conclusion that change is therefore too troublesome to make at all, unless it is compelled. There are risks to more or less everything we do as individuals, families, communities, countries, indeed the international community. Risk must be a consideration when pursuing change, but cannot be a block to change. With this background in mind I have come to the conclusion, after considerable thought and to be honest with some difficulty, that the United Kingdom should leave the European Union. While no one can accuse me of rushing my decision; as those who know me can testify I like to think through issues of such importance in depth, considering different viewpoints and imagining the multiple consequences of any decision. This process of deliberation has both been helped and hindered by my family, friends and work colleagues. Helped because they have given me their insights, offered support and challenged my thinking with enthusiasm and good grace; hindered because I am acutely aware that for many of my colleagues, themselves citizens of other EU countries or related to such citizens, there is genuine concern about the implications of a UK vote to leave. I am not immune to these concerns or their passionate arguments as to why we should stay. On balance however I believe it is in the best interests of the UK to leave the EU. My argument for departure is multi-faceted and rests on a belief that the UK must remain an open, welcoming, outward looking country outside the EU. More specifically my argument has three main components – (1) a belief that a vote to leave the EU will provide a democratic boost to the UK, strengthening the umbilical cord between the public and their political leaders that is at the heart of any functioning democracy, (2) recognition that the UK is at its best when it looks outwards and embraces a truly internationalist worldview, and (3) a loss of faith in the European Union, a project that is flawed in its current form. Let me take each, briefly, in turn. In just two sentences Churchill captured the potency, the beauty and yet the fragility of democracy. The ability for the people to select their representatives, individuals who subsequently make decisions on the people’s behalf, but who can, should the people decide, be kicked out of office. The EU today fails to give sufficient capacity to the peoples of Europe to influence its decision-making processes and hold its decision-makers to account. Indeed the EU as an entity has consistently failed to respect the democratic will of the people, rejecting referendum decisions in France, Ireland or Greece in pursuit of its political and economic vision for Europe. This situation has left the public disenchanted and disenfranchised and I see little prospect for positive change here in the current EU. To utilise the terminology of Tony Benn, the umbilical cord between people and representatives that is at the heart of democracy is, in the current EU, being stretched to breaking point. Tony Benn was a strong champion of parliamentary democracy consistently challenging the democratic standing of the EU. In the House of Commons he once set out five democratic questions that remain of utmost relevant today: “What power have you got? Where did you get it from? In whose interests do you exercise it? To whom are you accountable? And how can we get rid of you?” He subsequently concluded that, “If you cannot get rid of the people who govern you, you do not live in a democratic system.” Benn was and remains right. As such by leaving the EU the UK will receive a democratic boost as more decision-making comes back to the UK Parliament, closer to the people. I also believe that the UK is at its best when it thinks international, engages with all parts of the globe, yet is not overly-reliant on any. In a number of ways the EU has become an insular entity, pursing protectionist economic policies, for example around agriculture that disadvantage both the European consumer and non-EU farmers; whilst maintaining a ‘Fortress Europe’ mentality that has contributed to the poisoned debate around migration we now witness. By leaving the EU, the UK will be required to broaden its horizons, further engaging with and embracing the emerging economies and rising powers of the 21st century. The UK is well-placed to serve as an anchor between the ‘old’ world order and ‘new’ and I believe can pursue this role more effectively outside the EU. In its current form I have also come to the conclusion that the EU is a flawed project. My view here is undoubtedly shaped by my political principles. I believe in devolving power to the lowest level possible; I am sceptical of large bureaucracies and the bureaucratic mindset; I seek a leaner, enabling state. The EU fails on all these points, too slow to enact its principle of subsidiarity; maintaining a bureaucracy that is cumbersome in the digital, knowledge economy; pursuing policies that stifle economic progress. Previously I have always sought reform from within. The argument that you work for change more effectively inside than outside an organisation appealed to me. I also readily accept that membership of a multi-member organisation requires compromise. Yet, the experience of the last couple of decades has left me deeply sceptical that the EU can sufficiently change in a way that I feel is beneficial for the UK. David Cameron’s negotiation, while pursued with goodwill, showed the limited purchase amongst the political elites in the EU of the UK’s vision of a more limited, multi-directional EU. Proposed reforms were linked to potential EU treaty changes that may never happen, terminology over the EU’s vision was tweaked without fundamentally changing EU decision-making processes, a sop to the democratic will of member-states was encapsulated in a ‘red card’ mechanism for blocking EU policy designed in such a way as to be unlikely ever to be widely utilised. Despite British opt-outs and vetoes we cannot confuse the micro and macro pictures. Yes the UK scores periodic victories within the apparatus of the EU, but over the last 40 years the overall direction of travel has been towards ‘ever closer union’. We had Maastricht, Lisbon, the Euro. It is little surprise the British government rarely mentions its reform deal. Ultimately I do not believe there is a European demos able to effectively sustain the vision for the EU dreamt up by those running the organisation. Moreover the more limited and flexible EU that I believe most Brits seek is not a vision sufficiently shared by the political elites of the EU to have any likelihood of implementation in the near future. I do not argue that the rest of the EU should simply bow to British requests; we can accept the visions for the EU between the UK and the EU elites (not necessarily the peoples of EU member-states mind) differ. Indeed there comes a point when the views and needs of one (or even two or three) states are pushed to one side for the views and needs of the remaining 20+ states. But in acknowledging this divergence of vision and needs it seems prudent to consider whether an amicable parting of the UK from the EU may not be beneficial for all parties? At this current time and in thus current context I believe it will be. A British departure from the EU will allow us to forge a relationship of mutual respect and co-operation with the EU based on the best interests of both parties; it will offer an alternate vision for co-operation between the nation-states of the European continent to those countries that seek it; it will allow the EU to pursue the deeper integration that is going to be necessary to make the Euro have any chance of working sustainably and more fairly going forwards. I recognise that some will share my three principles but draw different conclusions on the viability, appropriateness and value of our EU membership. This is the joy of being free thinking individuals able to have our say in a referendum. I am extremely pleased and grateful that this current British government has given the people of the country a say on this vital relationship where many of its predecessors did not. There will also be many more people who regard my thinking on the EU as misguided. They may argue that the EU can be reformed and that you don’t leave the club lightly. They may argue that leaving would be a retrograde step for the British economy or national security. They may argue it is just too much of a risk, an unnecessary leap in to the unknown. When it comes to the economic and wider national security considerations of leaving the EU, I would not deny that, in the short term at least, there will be some uncertainty. Yet as I have looked at the economic arguments laid out by supporters of each side and those who declare neutrality, the inherent difficulties of accurately predicting economic issues is very evident. I believe that the country will economically adapt to its place outside the EU and emerge better able to more effectively engage and trade with the rising economies of tomorrow, increasing our prosperity. I also note the tales of impending doom from political elites and big business that accompanied the UK’s decision not to join the Eurozone – now repeated over EU membership – and which were found to be near completely wrong. In terms of national security, the UK will not suddenly disappear from the European continent or its obligations to its neighbours. We will still be members of NATO, we will still have military partnership agreements with European states such as France, we will still be a member of the crucial intelligence-sharing ‘Five Eyes’ scheme, we will still be able to co-operate with our neighbours for the common good. The mechanism to achieve that co-operation will be the change. Discussions about the economy and national security illustrate a key plank of the campaign to keep the UK in the EU, namely the need to avoid the risks associated with leaving. We should not be hamstrung by the fear of change. The risks being flagged up by the Remain campaign are less significant than they suggest, whilst we cannot forget there are risks and unknowns if we vote to remain. Very few people would have predicted five years ago the EU’s current position needing increased fiscal and political integration to sustain the Euro, an EU struggling to reverse mass unemployment, an EU witnessing the rise of extremist political parties. Ultimately uncertainty and risks surround us all and at all times. If we froze in the face of uncertainty and risk, refusing to change the status-quo when it is clearly failing, then very few of the major economic, political and socially progressive changes of our time would ever have taken place. To put it another way, we sometimes need risk and uncertainty to make necessary leaps forward. Very few people for example take on a mortgage on a new home without concerns about their investment, potential interest rate rises and so forth. Yet millions nevertheless take out a mortgage because the desire to gain a new asset, build something for yourself and your family is a risk worth taking. Taken together these are the reasons why I will vote for the UK to leave the EU. The referendum campaign ahead will undoubtedly be filled with selective information, carefully chosen case studies and even the odd half-truth by both sides in order to persuade the voters to vote one way or the other. 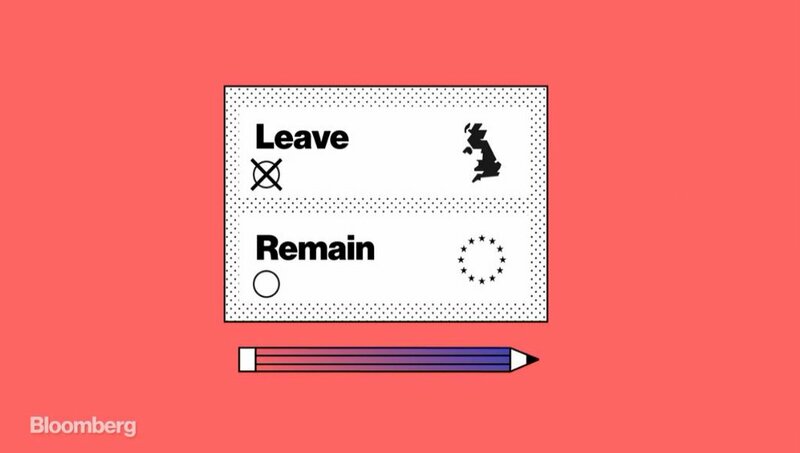 In a referendum with just two options there is also a tendency for over-simplification. As voters however we are in a position of ultimate power that we must maximise. Our political leaders must come to us, they must persuade us and we can welcome them with a listening ear and a critical mindset. Then we must vote – whichever side of the argument we decide upon – we must exercise our democratic duty. Collectively we are writing the beginning of the next chapter of the United Kingdom’s history; what an absolute honour. I have been asked elsewhere what my alternative to the EU is. I am of the view that departure from the EU will, of itself, be a positive for the UK because we will depart a flawed project, be required to look and act with greater internationalism as a country and we will gain a democratic boost. It stands to reason that for me, any alternative relationship with what remains of the EU should not diminish these gains. I am of the firm belief that a future UK-EU relationship will be a negotiated, specific relationship. Such a deal would have free trade at its heart. The only European states not in a free trade area with the EU are Russia and Belarus. I cannot envisage a realistic scenario where the UK does not share in a free trade area with the EU.